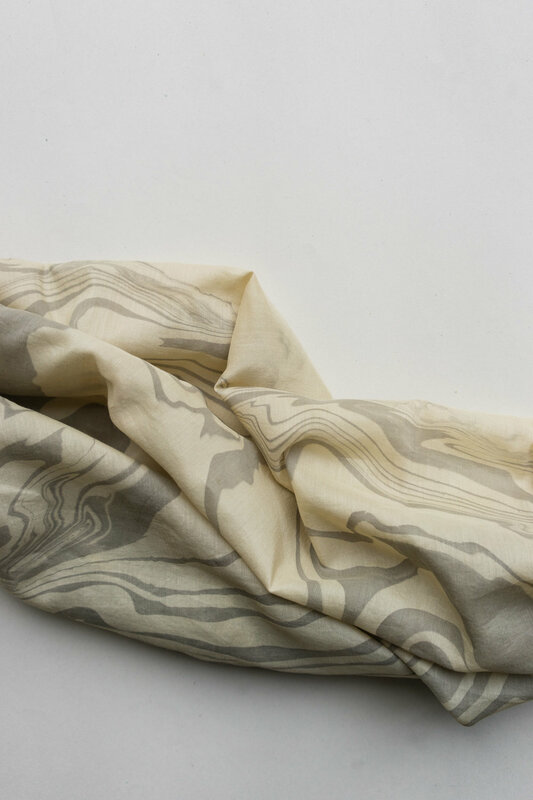 Topographic silk landscapes is a small collection of naturally dyed silk scarfs that have been printed with a unique Suminagashi pattern. Suminagashi is a Japanese marbling technique, where concentric black circles are created on a liquid surface. These circles are then manipulated using wind and vibrations. It is a process where you let the materials take control rather than trying to control them. 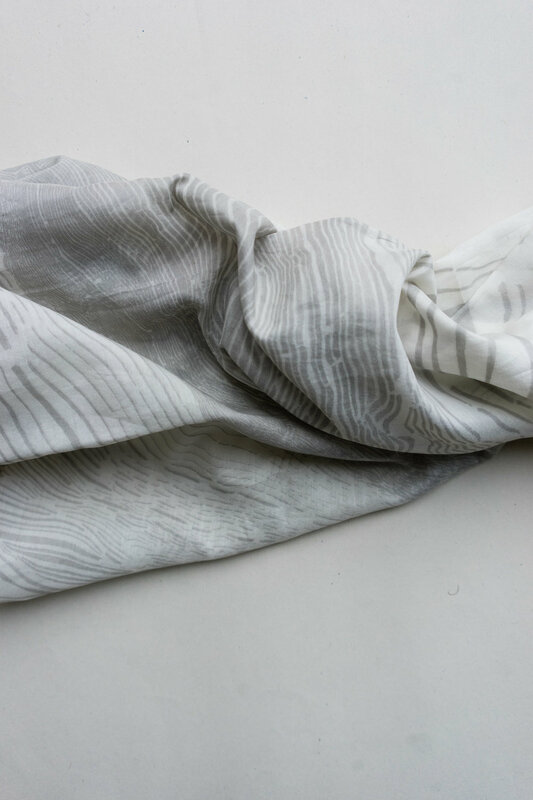 The results are beautiful variations of lines bending and curling, the same way topographics lines work their way across maps. 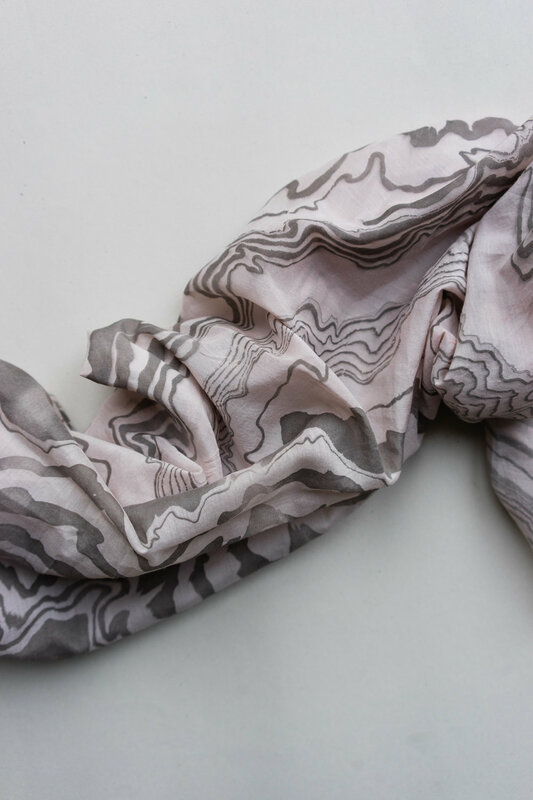 This visual coincidence left us no choice but to name this collection “Topography”.